Soooo y'all are going to love-slash-hate me for posting this recipe. 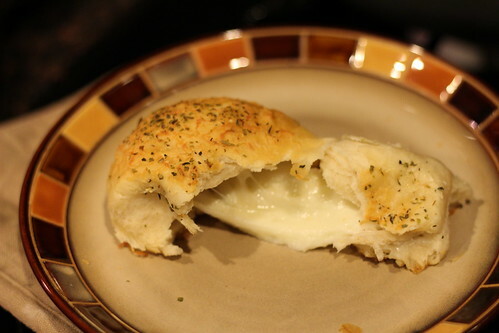 It's full of carby, cheesy deliciousness, and I don't think it's in any way good for you (except the "I just ate a delicious piece of carby cheese goodness and it tasted so good" way). But sometimes you have to toss aside the healthy eating goals and just splurge. 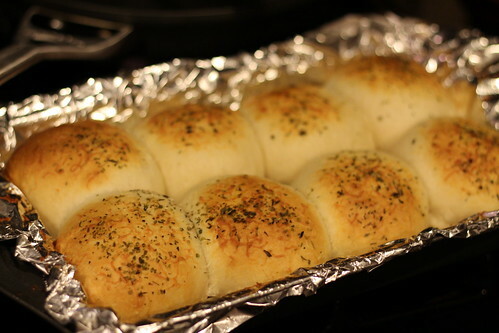 And when that time comes, you better make these. Because they are good. Directions: 1. 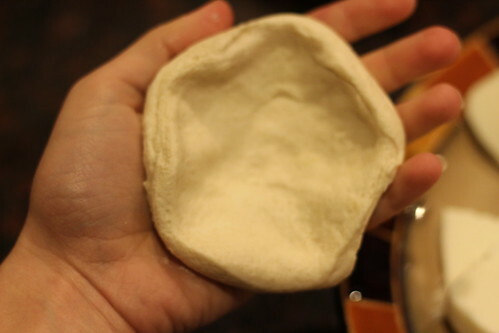 Open the biscuits and slightly flatten each one into a disc. 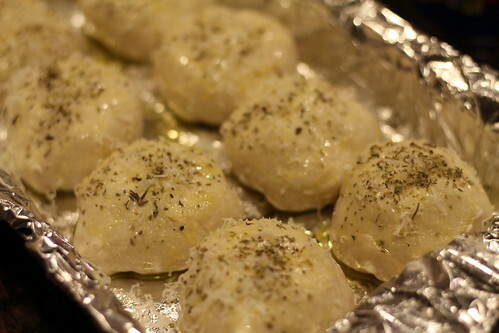 Cut mozzarella into chunks (about 2 inches wide), and place a couple cheese chunks on each biscuit disc. 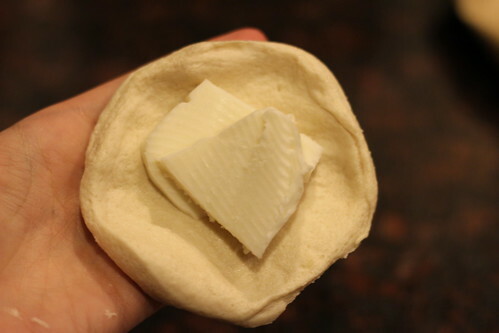 Wrap the biscuit dough around the cheese and seal well. 2. 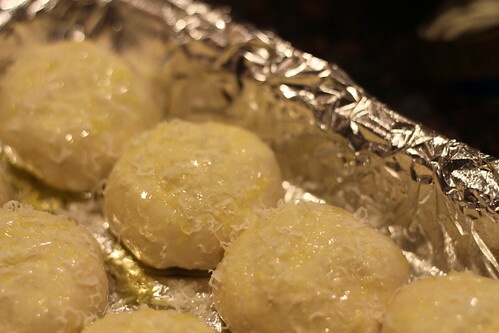 Place the cheese-filled biscuit dough balls seam-side-down in a baking dish (it's a good idea to line your baking dish with foil to make for easier clean up in the case of cheese explosions!). 3. 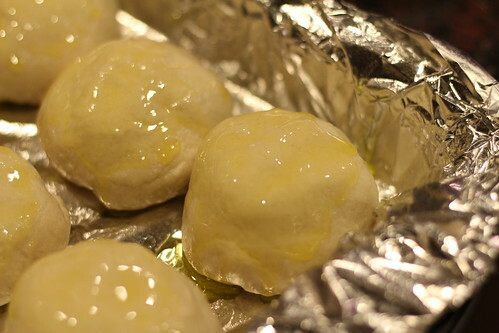 Brush the biscuits with some olive oil. 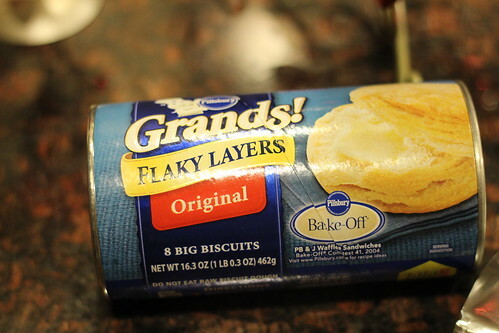 Sprinkle grated parmesan and Italian seasoning on the biscuits. 4. 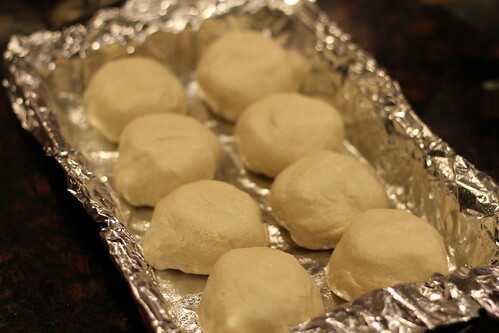 Bake at 350 for 15-20 minutes, or until they're golden and firm. These sound so yummy!! Adding to my list! 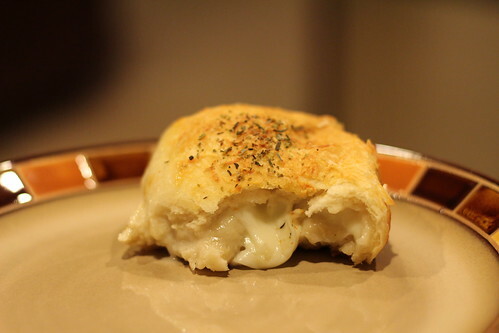 Um, yeah-- I'm gonna have to make these now!